Plenty of people think that driveway paving is a tedious and costly experience. It may be appropriately so. The real thing about driveway paving is that it will truly be a huge job and at the same time expensive. Regardless of all these drawbacks, it is simply undeniable that a newly paved driveway is truly a good way to recreate a new look for your home. Of course, having a newly Richmond paved driveway will also make you fulfilled and alive as a homeowner. Some people who have bought a new house would choose to have a new driveway paving since they know that it will truly make a difference in their home’s appearance. While the driveway is the most common area to be paved, there are also other places in the home that can be paved like the courtyard. There are even some homeowners who choose to pave even their gardens. There are plenty of ways to pave your driveway if you want to enhance the look of your home. You can select from various materials to use – brick, concrete and other kinds of asphalt. You can also have a gravel driveway or cobblestone in place. Depending on the amount of money you wish to spend on driveway paving, there are less expensive and pretty options for making your driveway look new and fresh. The very first thing you have to think of is your budget. On your own, you should know how much you are willing to spend on your driveway before asking for a quote from contractors. Your chosen contractor will usually take a look at your property in order to determine the space that they will be working on. They have to measure the various tasks that have to be done, and how much of your chosen material will be used for the pavement. After deciding on a budget, you need to check on the type of material you wish to use on your driveway. There can be plenty of these choices and arriving at a decision can be pretty tough. The most popular types of materials used for driveway paving include gravel, brick, concrete and asphalt. Brick can come in various patterns and forms and choosing one can be quite a challenge. 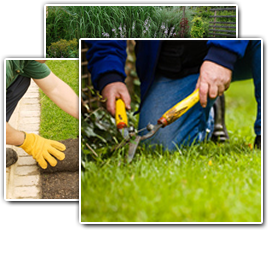 A good contractor should be able to show you a brochure of various paving selections for you to go through. Also, a contractor can also let you see a sample of his work in order for you to make an easier decision on choosing the material you wish to use on your driveway. One thing to remember, though when trying to have Richmond driveway paving, is that making your driveway pretty can’t take one night. It will take some time for the work to be done by the contractor. Before you can see your pretty driveway, you will simply see a construction site. The construction process can take some time and requires some effort and patience. It could also be advantageous if you take some time in choosing the appropriate material and pattern for the driveway. A good driveway will serve you plenty of years and it is important that you are sure about your decisions.